WHAT IS AN ATHLETIC TRAINER? ... An athletic trainer is part of the allied health profession and is responsible for the prevention, management, evaluation, treatment and rehabilitation of athletic-related injuries. That's the "technical" definition. Ask a practicing Athletic Trainer and they will tell you ... "I'm a problem-solver, counselor, teacher, advisor, sounding-board, part-time cheerleader ... oh, yeah, and I also take care of emergency medical situations, treat the sick athlete or coach; all while rehabilitation injuries, taping body parts AND directing a student training staff." WHEW!!! Sounds like a whole bunch of responsibility, and a whole lot of busy, huh? Ask that same Athletic Trainer, "do you love your job?" and they will tell you, "Absolutely!" We are very proud of producing All-American and National Champion athletes and teams. MC Sports Medicine is another team in this successful program that has been built. Our teams are successful in the classroom and on the field. We consider ourselves "the team behind the teams." Scholarships are available, based upon academics, experience and need ... Come join us! 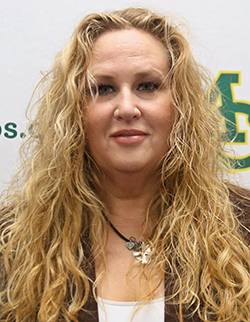 A veteran of the Midland College Athletic Department, Sonya is easily one of the most valuable people at MC. Her dedication to the athletic teams is nearly unparalleled. Sonya can usually be found at most home matches and games. She also lends her expertise to other schools and can be counted on to have a well-taught, eager group of student trainers. Sonya is a caring professional who always wants what is best for everyone. In addition to directing the training program, Sonya teaches several Physical Education lecture courses that emphasizes treatment of athletic injury and is highly regarded by her students. It is as an Athletic Trainer that has earned Sonya the respect of her colleagues, her student-athletes and her peers. Sonya earns the distinction of being the first-ever full-time trainer in the college's history. Currently Sonya is taking Emergency Medical Training courses in order to be better prepared for her duties at MC. Sonya is originally from Magnolia, TX. Her interest in a career as an Athletic Trainer began as a student-trainer at Magnolia High School. After graduating from high school, Sonya enrolled at Angelo State University in San Angelo, TX. There she worked as a student-trainer and ultimately as a graduate assistant trainer. She earned her bachelor's and master's degrees in Kinesiology from Angelo State University. Sonya currently holds memberships with several professional organizations including the National Athletic Trainers Association and the Southwest Trainers Association. In her spare time, Sonya is involved in activities at her church and she has a dog, Mia.